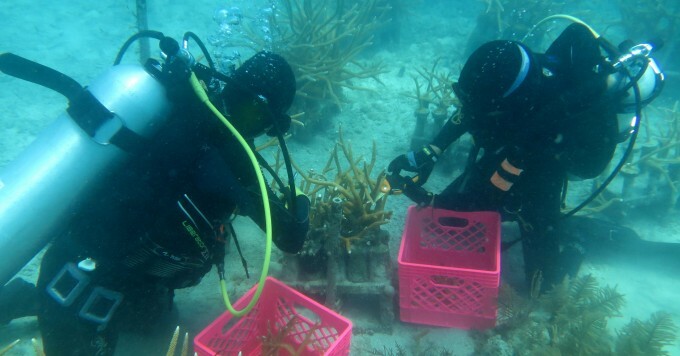 The Nature Conservancy has a cooperative agreement with the National Park Service to manage a coral nursery and outplanting program within Dry Tortugas National Park. 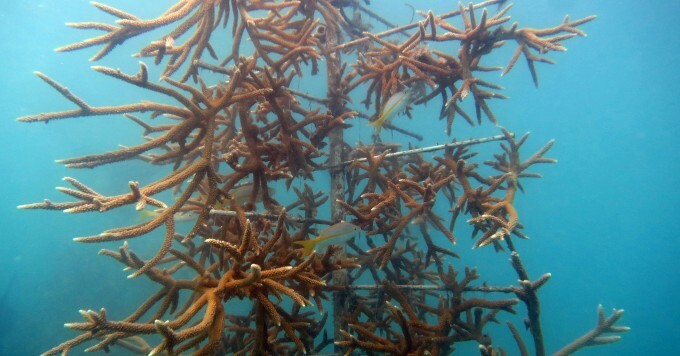 The coral nursery currently holds mainly staghorn corals but also a few fragments each of elkhorn coral (Acropora palmata) and the hybrid, Acropora prolifera. Outplant trips have placed between 1,000 and 1,600 corals back to reef sites annually. 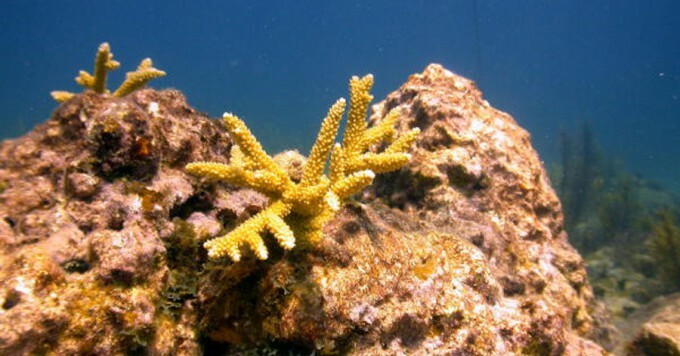 It is thought that there is only one genetic strain of elkhorn coral left in the Park boundaries, so the nursery also currently serves as a gene bank in case of catastrophic loss of the remaining patch. 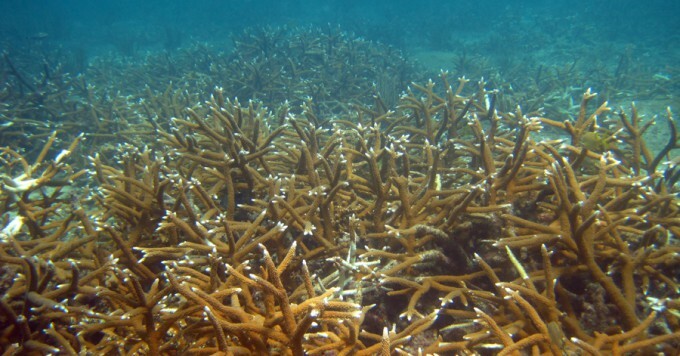 Acropora restoration techniques were piloted in Florida starting in 2004 and were brought to scale across the entire reef tract in 2009 under American Recovery and Reinvestment Act (ARRA) funds. More recently, new techniques have been developed in land-based facilities to bring both fragmentation of boulder corals and sexual recruitment to a scale where restoration with slower-growing species may also be possible. Coral restoration was most recently selected as one of two projects to be funded with Monroe County’s Restore Act funds. 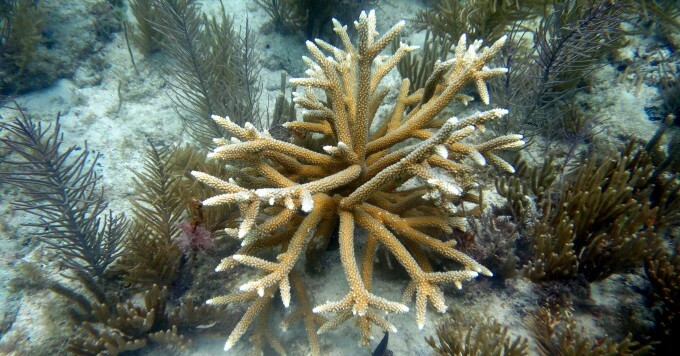 The project will result in outplanting of 18,000 staghorn colonies and 3,500 boulder corals to reefs in the Keys. The goal of this work is to create breeding populations of corals to promote the natural reseeding of surrounding reef areas. Corals grown in nurseries have been observed spawning both in nurseries and after outplanting to reefs, so this goal is not unrealistic. Partners on the ARRA grant included Nova Southeastern University, University of Miami, Coral Restoration Foundation (CRF), Florida Fish and Wildlife Conservation Commission (FWC), and Mote Marine Laboratory. Partners on the Monroe County Restore Act funding include CRF, FWC, and Mote. 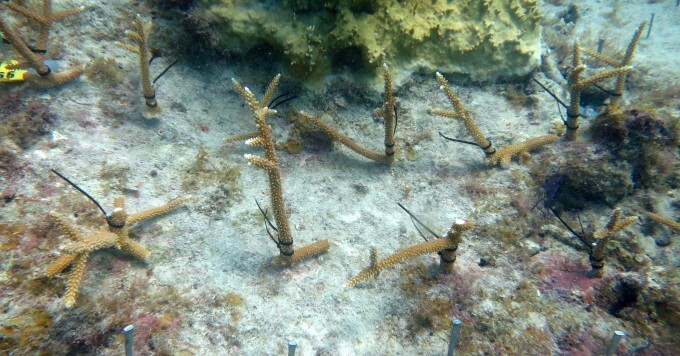 This pilot project, funded by a State Wildlife Grant from FWC, aims to understand the feasibility and utility of conducting site-specific habitat restoration that involves both restoration of key coral species and removal of detrimental species. 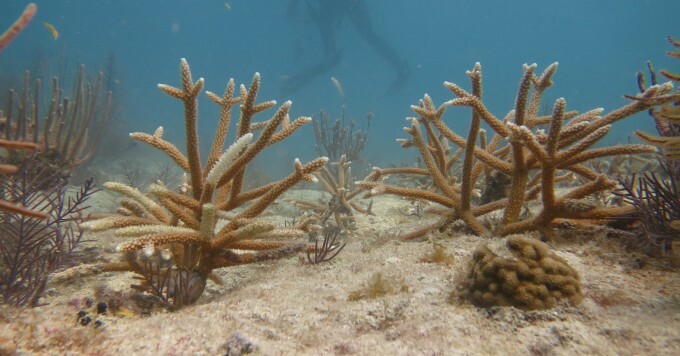 A concern with outplanting boulder corals is their slow growth rate and the effects that competitor species like macroalgae and palythoa can have on the success of restoration projects. 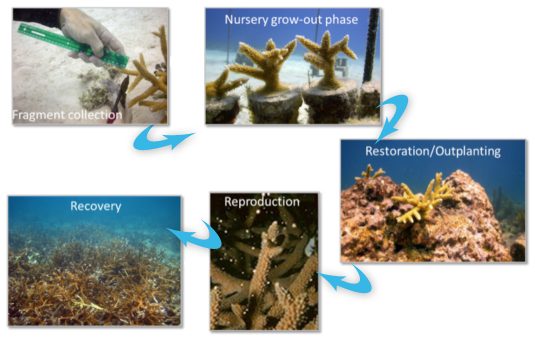 Over the course of this three year project, treatment groups will be maintained at different levels to begin to understand what level of maintenance, or clearing of competitors, is required to achieve successful restoration with slow-growing coral species. 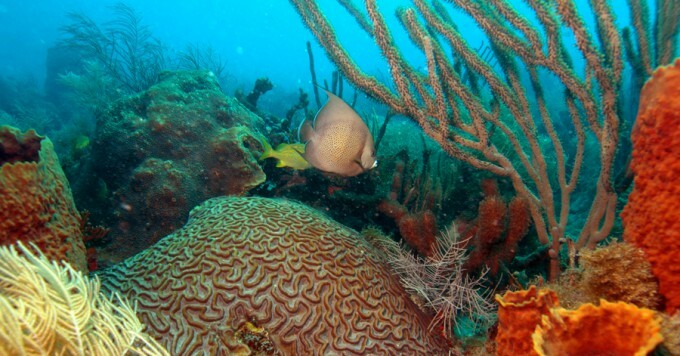 Coral habitats in the Keys have been in decline since the 1970s, due to multiple stressors including coral bleaching, disease outbreaks, hurricanes, and cold snaps. 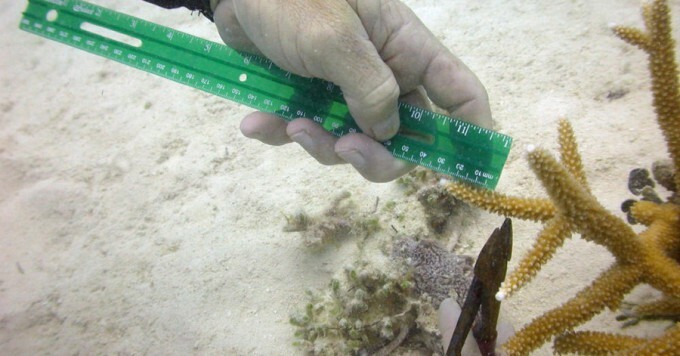 The Florida Keys Coral Reef Evaluation and Monitoring Project (CREMP) has recorded a decline in both species richness and coral cover, and no significant recruitment of juvenile corals since 1996 (Ruzicka et al., 2010). 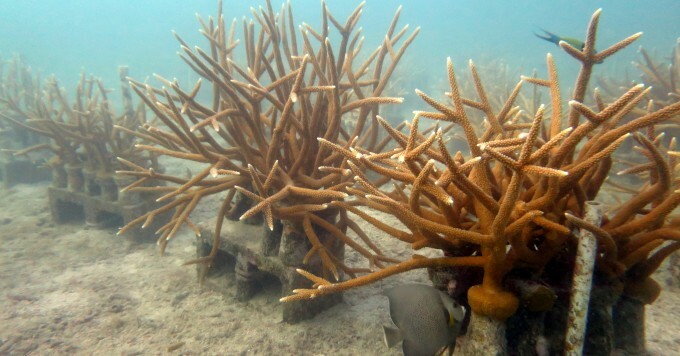 The loss of reproductively active coral colonies, increased distance between these colonies and low rates of juvenile coral colonies surviving to sexual maturity have combined to create a situation in which it is unlikely that corals in the Florida Keys will repopulate the reefs naturally. 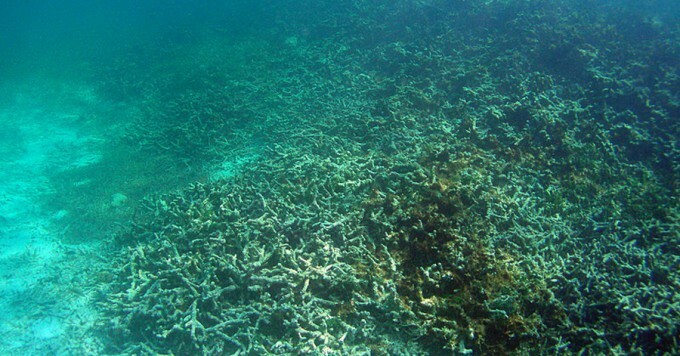 This contributes to decreased resilience of our reef system and depresses natural restorative processes. 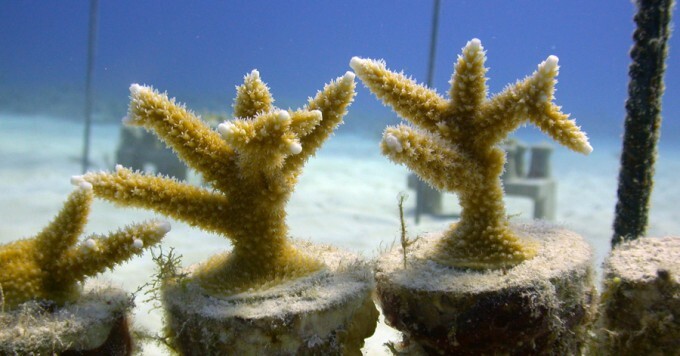 Habitat protection and threat abatement may not be enough to stop the decline of reefs and active restoration of coral populations has quickly become a feasible and cost-effective way to reestablish live corals to reefs.